Sony has dropped the price of the PlayStation 4 $50 today, effective on all bundles and stand alone versions of the system. 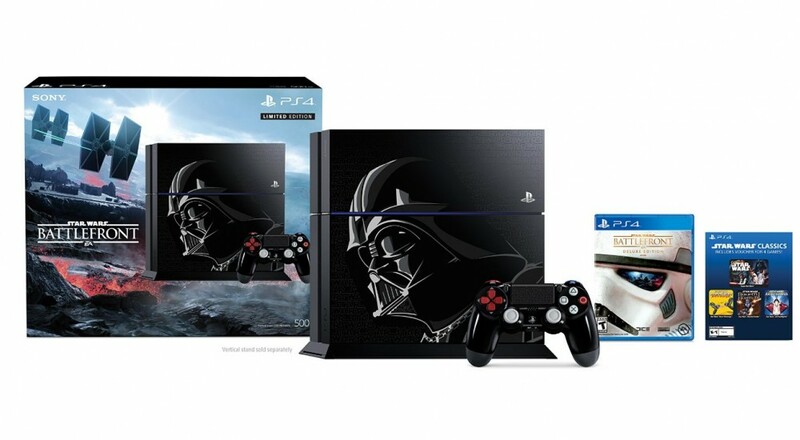 This brings the 500GB standard price to $349.99 and the bundle price (varies depending on game and drive size) to $349.99 to $429.99. 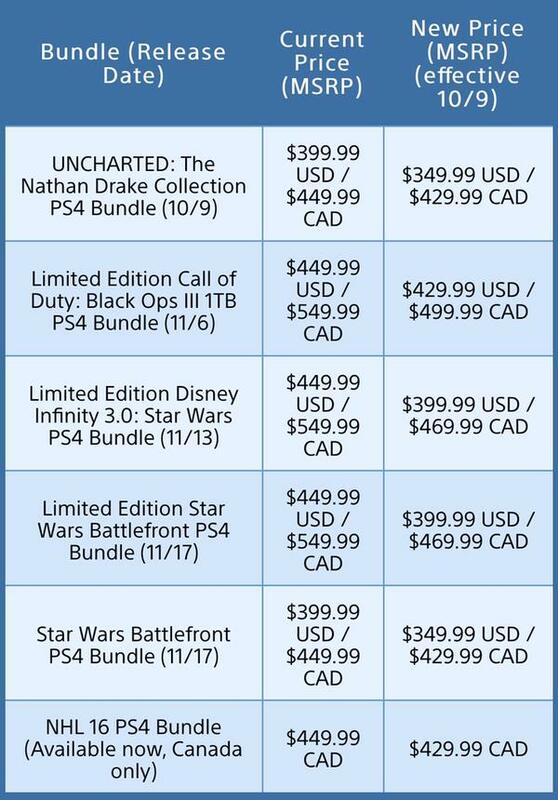 The prices go into effect on October 9th, though some retailers are obviously already dropping the prices for the console. There are several co-op friendly bundles including an upcoming Star Wars: Battlefront Bundle and a Call of Duty: Black Ops 3 PS4 bundle and the recently released Destiny The Taken King Bundle. Page created in 0.5991 seconds.